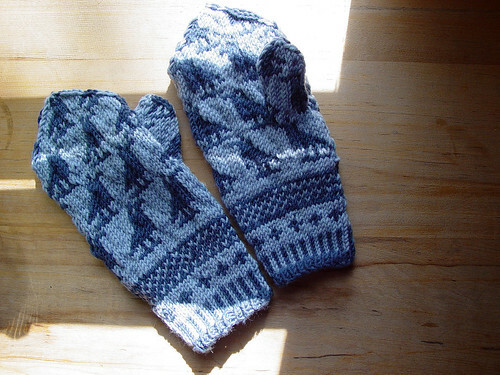 Yesterday I received these sweet mittens my mom made. Thank you Mom, they are beautiful! And the blue will go so well with my winter coat, which I certainly need today! Speaking of sweet, we watched the movie, The Namesake. It gets two mittened thumbs up from me.